Arihant Steel - Manufacturer of anodised aluminium sheet, aluminium sheet and coil & ss wire in Mumbai, Maharashtra. Offering a full line of steel and aluminum from stock and special order. all aluminum available with a variety of tempers and finishes. 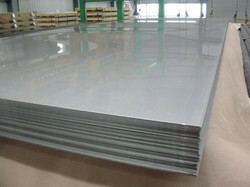 Aluminum sheets, coils, extrusions, blanks and plates, common alloys and heat treated alloys. 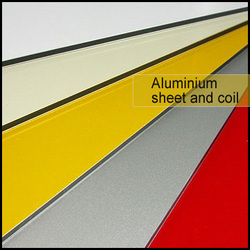 Manufacturers and suppliers of aluminium 6000 series sheets in india. mill finish, painted, embossed, one side bright and anodized aluminum sheet and plate plus standard and custom aluminum extrusions, painted or powder coated. Precision slitting, shearing, punching and cut-to-length services also available. 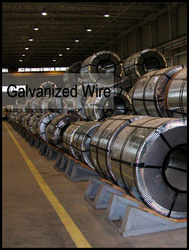 also, prepainted galvanized steel sheets and coils in popular thicknesses and sizes. • standard roll width of stainless steel square wire mesh: 1m to 48"
• standard roll length of stainless steel square wire mesh: 30m to 100"
Low carbon steel wire, stainless steel wire, aluminum alloy wire. weaving: woven diamond pattern provides strong, durable and flexible construction. The closely spaced diamond mesh construction gives your fence linear strength and springy texture to protect horses from injury and prevent predators from entering paddocks and pastures. Diamond mesh is used as fencing for sports field, river banks, construction and residence, also animal fencing. 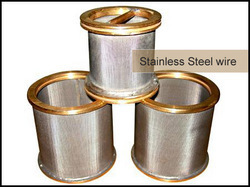 Low carbon steel diamond mesh has a heavy galvanized coating to ensure a long life. 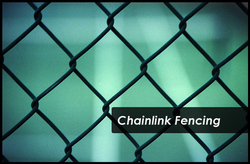 chain link fencing is a highly cost effective perimeter protection solution. It is manufactured from wire woven into a diamond mesh pattern. The system benefits from good visibility and is budget on low to medium perfect when working to a is also a versatile solution to be specified. Which allows various heights, security sites. We can supply plastic coated chain link fence. Property of pvc coated chain link fence: our products enjoy such properties as corrosion resistance, aging resistance, sunshine resistance and weather resistance. 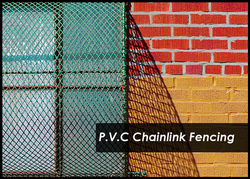 colors available for pvc coated chain link fence: green, blue, white or other colors at customers request. Arihant steels offers perforated metal with various patterns mainly standard perforated patterns and decorative patterns. Custom designs available. Precise parameters guaranteed. it can be fabricated into gabions boxes – one of the most popular wire products for flood control. Then stones are put into it. Laying of gabions make a wall or bank against water and flood. Popularly used as fences after green coated, and costs can be reduced. 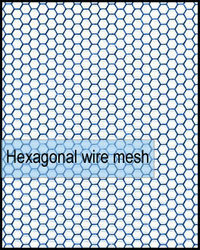 In the past years, the hexagonal wire netting made of galvanized iron wire has been used in fences and construction reinforcement. 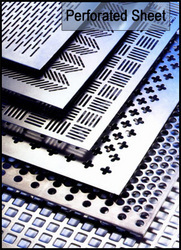 Expanded metal is used widely throughout the transportation industry, agriculture, security, machine guards, floorings, construction, architecture and interior design. 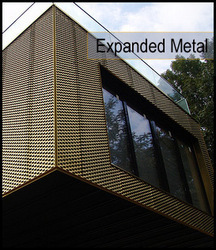 The use of this kind of expanded metal mesh is highly beneficial, and of cost saving and low maintenance. different styles available allow for multiple uses. It can be made as your patterns and designes. Barbed wire, also known as barb wire, is a type of fencing wire constructed with sharp edges or points arranged at intervals along the strand. It is used to construct inexpensive fences and is used atop walls surrounding secured property. It is also a major feature of the fortifications in trench warfare (as a wire obstacle). arihant steels offers hot-dip galvanized wire, electro galvanized wire, galvanized welded wire mesh and other wire products for worldwide customers. 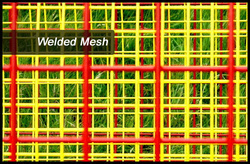 Sheet to sizes for welded mesh available. Galvanized wire can be classified into hot-dipped galvanized iron wire and electro galvanized wire according to the differences of processing. By: Indo German Wire Screen Co.